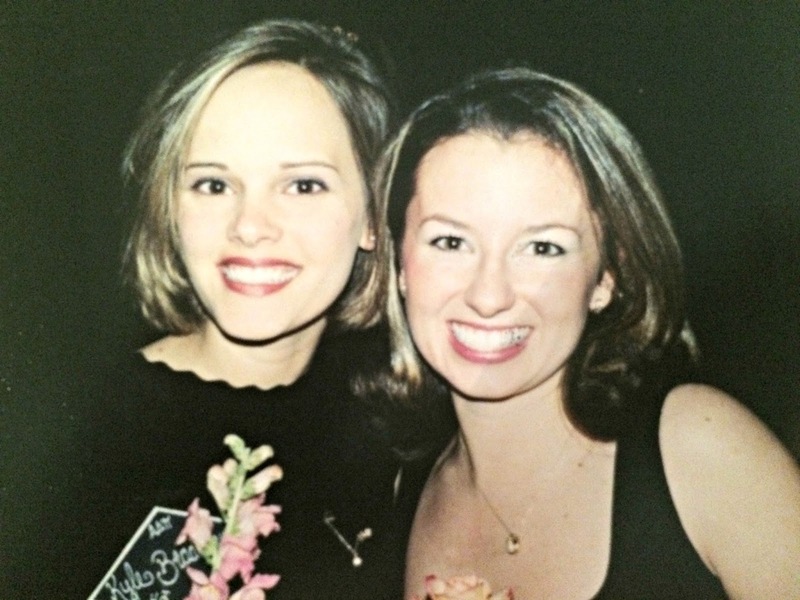 I had the pleasure of getting to know my sweet sorority sister Kyle while we were students at Furman. Kyle is the kind of girl who just always had it together. While I was fishing around in my backpack for a pen that would actually write, Kyle was color-coding her dayplanner and submitting her projects early. She was THAT girl you wanted and needed in your study group. When Kyle recently launched Resumoxie, I was so proud but not a bit surprised. She has always had a crazy talent for spinning our friends' resumes into gold, and she has now taken that passion and turned it into a career. Kyle agreed to let me highlight her for this Q+A post, and if you are currently in the workplace (or think you'll enter or re-enter it at some point), I hope you'll enjoy reading her two cents on building your strongest resume. Q: Why is it important to have a strong resume these days? But regardless of whether your job search starts as the result of being recruited or because you submitted a formal application, your resume should serve as the foundation for your professional document suite. Cover letters, LinkedIn profiles, references, and the like should all be in sync – visually and in regards to content. Q: What do you owe the success of Resumoxie to? What makes Resumoxie stand out? Resumoxie has totally taken off, and from the wonderful feedback I’ve received, I have to say it’s because of the hyper-personalized approach I take with my clients. Resumes are an art (not a science) and no two have to be alike. The same goes for my clients – a resume for a college freshman looking for his first internship should look really different from that of a mom re-entering the workforce, or an aspiring Executive with decades of experience, and so on. I’ve been known to spend up to an hour getting to know my clients on the phone, and by the end of Resumoxie’s highly collaborative process, we’re friends. Some folks even call me before they call their husbands or moms to let them know they landed an interview or job, ha! Q: What sort of shifts have you seen in the world of resumes? I’ve been working on resumes for more than a decade, and there sure have been some changes! That said, there are still best practices and standards that remain rock solid, and I love working with Resumoxie clients to determine where they should land on all the variables. The biggest change I’ve noticed is the “one page rule,” which isn’t a rule anymore. It’s definitely a very-nice-to-have element if it fits with your content, but if you’ve earned a second page, by all means use it! Keep in mind that information is relayed more concisely now than ever before, so you still want to be really tight with your content. Another change I see is the increasing expectation that resumes be customized for every job you apply for. This isn’t a new tactic necessarily, but I would say that it’s officially moved into the land of must-do’s. I often ask my Resumoxie clients to send along a position they’re interested in as a way to make sure we’re incorporating keywords and common language, which you also want to reinforce throughout your cover letter. Lastly, there’s more creative freedom in resumes now. To be clear: you still want to look polished and professional, and variances from the traditional models and format can go against you in some industries and cases. But thoughtful usage of color can totally fly now, as can interesting font pairings, and there are some fun things Resumoxie can do to help show your personal moxie, which is also increasingly considered by employers beyond the fact that you can simply do the job. Q: Talk to me about cover letters -- are they important, and if so, what information should be included? The cover letter is a game-changing asset if you can do it right. I do a ton of these for clients – either helping them get a base template that they can tweak, or doing multiple versions for specific positions or industries. · The exact name of the position as well as the company. · How you learned about the job. Don’t hesitate to name drop if applicable! · Why you’re a great fit for the job. Be specific and don’t just regurgitate your resume. Take a look at the job description itself and use similar wording – they’re already telling you exactly what they’re looking for, so give it right back to them. · Proof points, backed up with numbers. This is an almost universal area of improvement for every cover letter and resume I see – stop simply telling them what you did, and start telling them why it mattered. · Your willingness to learn, especially if you’re just starting out, breaking into a new industry, or jumping up in title. You want to be confident, but not cocky. · Your appreciation for their time and consideration of your candidacy. As you draft, keep in mind that cover letters are not always read first anymore. They need to function both as a lead into a resume AND as a wrap-up after a resume. And, while there absolutely is some flexibility on resume length, your cover letter should not exceed one page. Q: How is social media playing a part in employment practices and networking these days? What are leading sites? Social media sure has a way of shaking things up, and LinkedIn is no exception. I advise all my clients in active job hunts to have a thoughtful and strategic presence on the site, and it’s still a good idea for any professional regardless of whether or not you’re actively looking. Important: your profile should not just be an online version of your resume. In fact, assuming you’re customizing your resume for every job application – as you should be – a resume approach to your LinkedIn profile can confuse the reader if it’s not saying the same thing. So I like to recommend short narratives for people on LinkedIn, which automatically differentiates the asset from a (likely) bulleted resume. Think of LinkedIn as a short or long way to show a little personality, demonstrate your writing skills, or call attention to specific achievements. We’re also beginning to see folks incorporate search engine optimization techniques to their LinkedIn profiles, knowing that recruiters are heavily relying on the network to locate candidates proactively. I think that’s pretty exciting stuff, as did my web marketing buddy in Hong Kong, who I spent an hour-plus talking to about this not too long ago. I will geek out with you all day on this one! 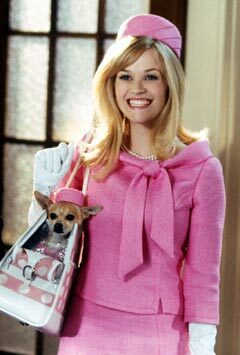 Q: We all know that Elle Woods would say "pink, scented paper." But in your opinion, what traits bring a resume to the top of a stack? The top tip for initially standing out is a crisp document design with an emphasis on readability. Chances are that your reviewer will be combing through hundreds of resumes – probably on a screen at first (and sometimes exclusively) – so you want to make it scanable and easy on the eyes. Think lots of white space and no less than a 10pt. font size. Q: So what’s new or next for Resumoxie? A lot! I just added several packages and even a discount bundle deal to my site – all based on the requests, trends and needs I’m seeing in real time from my clients. But of course folks can always ask for a custom quote too, as I’ve been known to draft professional bios, edit admissions essays, write web content, and more! And I need to be better about blogging on Resumoxie! My next post has been in the works for way too long, and that’s because I always prioritize my clients! But as a sneak peek for you and your readers: my BFF had a baby and I’ve made a resume for her little one that showcases how ANY talents and skills (even those of a 7-month old) can look polished and professional when positioned strategically. Resume child’s play, if you will! Now, for the giveaway -- Kyle is willing to give away a Signature Overhaul ($300 value) for one reader who likes the Resumoxie LinkedIn and/or Facebook pages. Just leave a separate comment here for each "like" you give! The giveaway will run through this Thursday at midnight with the winner announced Friday. Thanks sweet Kyle for letting me share this on the blog! couldn't happen at a better time.. I so need this and her HELP!!! going to like everywhere!! Congratulations to your friend! What a great interview and she gives some good advice. We just did a search at my office, and I was shocked that some of the applicants were so lacking! Good for her! I worked with a resume fairy godmother a few years ago and it was a game changer. It's WORTH the investment!!! This is not only a super helpful blog post, but a fantastic service! I find the balance between paper accolades and online presence to be a bit of a challenge - and I struggle with "selling" myself, so I am beyond excited to check out Resumoxie! Thank you Kyle (and April!) for sharing!!! I love this! I have used Fiverr consultants a few times to beef up my resume but I never really know who these people are or their qualifications. Will def remember her next time. What a neat business! I liked on Facebook! Perfect timing, I've been thinking I need to get some help with my resume! I liked on Facebook! I would have definitely wanted her in my college study groups! What a smart idea! I will remember this when I need to update my resume. Kyle is amazing! She helped me get into PA school at Duke. I'd highly recommend her. Love you Kyle and April!!! I am so excited that you posted about this today! While I do not plan on starting the job search today, I do plan on it after my wedding in November! 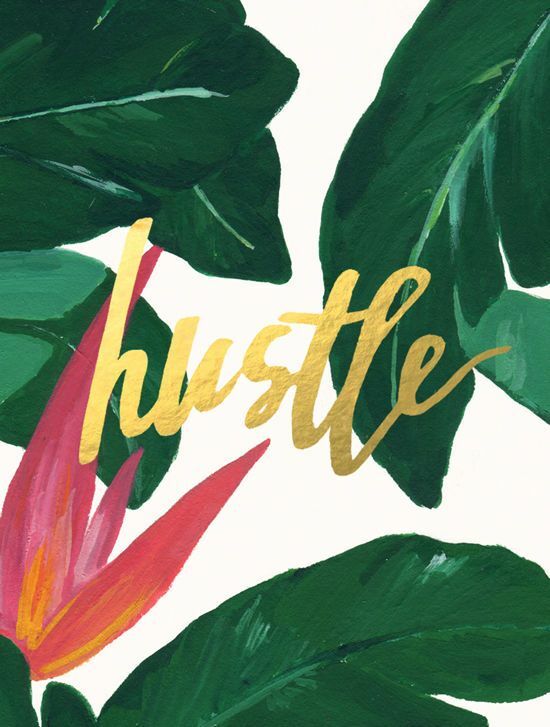 I am thrilled to find out about Resumoxie as I have been with the same company for five years and have acquired quite the skill set list, I just don't know how to wrap all of that up into a fabulous looking resume! Thanks for sharing April! I've been really struggling with the job search, so hopefully this could be the boost I need! And liked on Facebook! Thinking about switching careers and this service would be incredibly helpful! Thanks for profiling Resumoxie & Kyle! Followed on LinkedIn! I work in the Career Services Dept at a law school and this would be a great resource for our students! Sometimes the hardest part of getting your resume overhauled is getting started. Having someone to guide you in the right direction and provide that push would be oh so helpful. Just liked on Facebook. I like her on Facebook. Thinking of setting up a linked in account! I follow her on LinkedIn! Liked on facebook! Looks like a great service! I need help! 😀 I liked her Facebook page! Oh, I liked Linked In too! Liked on Facebook! This would be such a blessing right now - I need help! Great tips and giveaway! Liked on linked in! Liked on Facebook. I love this giveaway! Liked on Facebook! Just found out I'll be looking for a new job in December after 20 years - so this would be such a blessing! Liked on Linked In! There are some great tips!! Great post! I liked Resumoxie on LinkedIn! Liked on LinkedIn!!!!!! This sounds amazing!!!! What a great idea! I liked her on FB and Linkedin. What an awesome service!! Thank you very much for your beautiful article. It was a pleasure for me to read your article blog and to visit your site. Thank you very much for the photos. It was very interesting to see them.